Another option for u truckers. 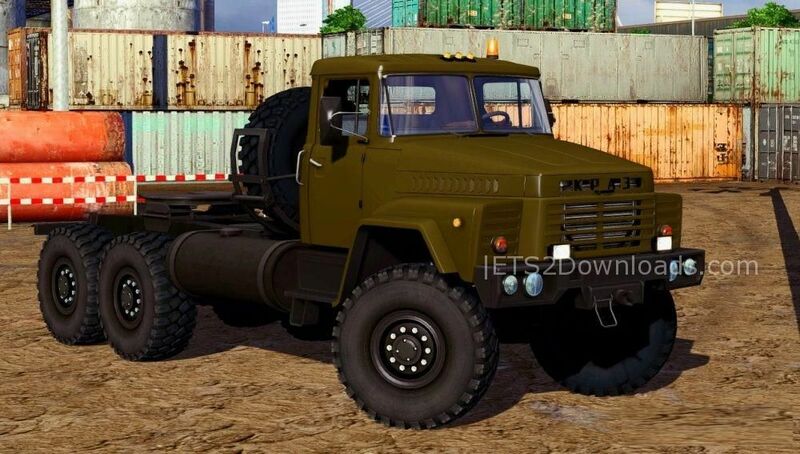 This Kraz 260 mod truck is fully standalone, doens’t replace anything. It can be purchased at the Volvo 5 slot. It has its own tuning, its wheels, its own sounds, its own salon. Fixed height of dummies hitch near saddle. 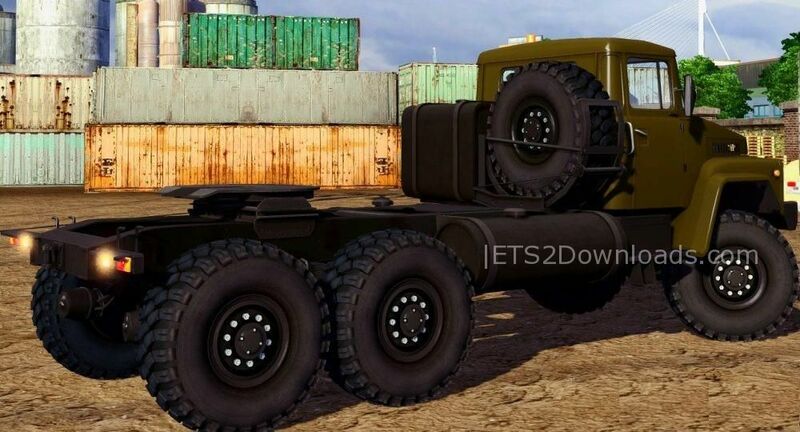 Adapted to patch ETS 1.31.x. There is no compatibility with the old versions of ETS, use the previous version of the mod. Added spiral physical cables to the tractor chassis.